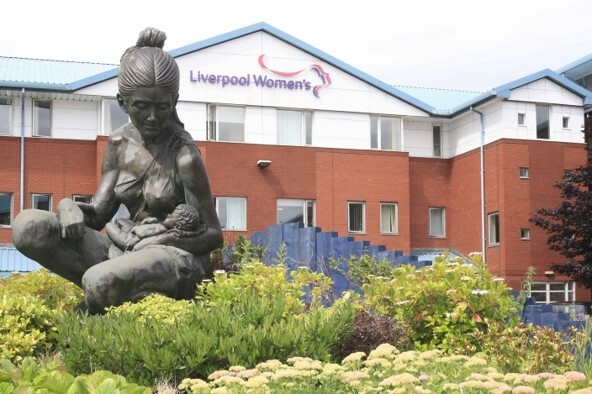 The Investor Confidence Project’s Investor Ready Energy Efficiency™ certification has been awarded to a project consisting of a consortium of three NHS Trusts in Liverpool; Aintree University Hospital NHS Foundation Trust, Liverpool Women’s NHS Foundation Trust, and The Walton Centre NHS Foundation Trust. This is a £13m project to improve the energy and carbon performance of the three hospitals, through the installation of a number of energy efficiency and low carbon measures. These include new gas-fired CHP energy centres, and a range of energy efficiency measures such as new variable speed drives for motors, plant optimisation, and an extensive lighting retrofit programme. The Project Developer is the NHS initiative, the Carbon and Energy Fund, who facilitates and manages the project. Carbon and Energy Fund (CEF) is an investor and project developer of energy infrastructure upgrades on behalf of the NHS and the wider public sector. The project investor is Macquarie Bank, and an Energy Performance Contract has been awarded to Engie (formerly known as Cofely), a leading contractor, specialising in decentralised energy. Engie will construct, operate and maintain the measures, delivering guaranteed savings of c14,500,000 kWh annually. This will result in annual savings of c£1.85m, with an average energy saving of 50% and an average carbon saving of 33% annually. The project also includes avoided costs of £650,000 annually through the provision of a Short Term Operating Reserve and the replacement of essential infrastructure. The construction period will be 18 months, and the Energy Performance Contract will be for 15 years. Engie began construction in January, 2016. The project’s Quality Assurance Assessor is Verco Advisory Services. Working closely with CEF, they have together applied the Standard Tertiary protocol. This process was carried out retrospectively, following the project’s financial close, and CEF’s documentation for the Liverpool project was found to be ICP compliant. A comprehensive feasibility study, including building energy audits, was carried out by NIFES, working in conjunction with CEF. Baselines and savings calculations were developed for each NHS Trust using CEF standard spreadsheet-based calculation tool. With some minor adjustments to their processes and procedures, CEF hope to achieve IREE™ certification for all future CEF projects.